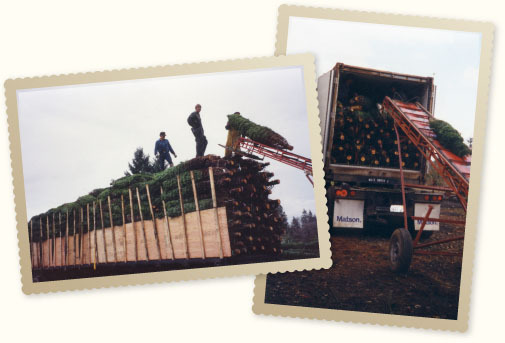 Or–West Trees (our wholesale company) has been growing quality trees for over 30 years. Nearly 200 acres of trees include Douglas fir, Noble Fir, Nordman, and Grand fir. Our trees are AG inspected, fertilized, and have all necessary sprays. We cut, bale, and load on your trucks as scheduled and are able to help locate trucking services. Mechanical shaking is also an option, as well as drilling for stands. Please contact us for availability and a current price list. HOURS: 10-5:30 Monday-Sunday | Merry Christmas!